Oil sludge belongs to the by-product of drilling and refining oil, and they are also primarily a mixture of oil and water. But the most important thing is that unprocessed oil sludge will cause great harm to environment. That’s why oil sludge treatment pyrolysis plant is a feasible solution. 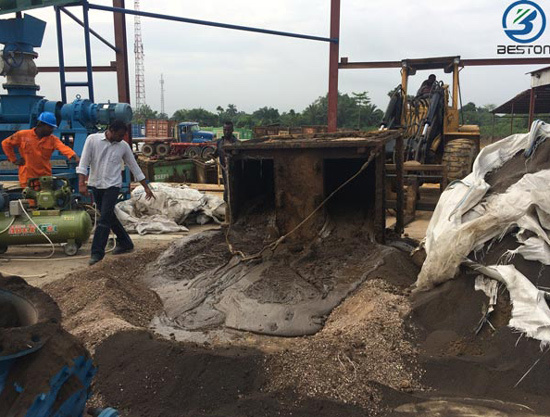 The crude oil sludge treatment plant can be able to generate a fuel oil of high-quality. This plant can separate the sludge and water from the oil and make the oil use again. And the following video will tell you how the oily sludge treatment pyrolysis plant works. It will be waste of a lot of time and fuel if put into the pyrolysis plant directly, and the water content of the sludge is so larger. 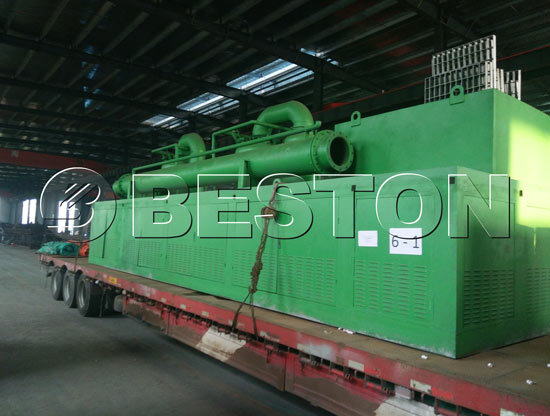 It is necessary to make a preheating dehydration unit before pyrolysis. In order to preheat treatment, pour sludge to be processed into the water knockout with an asphalt pump, heat the water knockout using the flue gas remaining around 500℃ treated by the waste gas treatment system, and then put the sludge into the pyrolysis reactor by the asphalt pump. The treatment for the oil sludge is not only remove part of the water, but also to preheating the oil sludge, decrease in cracking furnace heating time, increase the yield, save some of fuel energy. 2. The hydroseal can stop the fire burning back while remove sulfur, impurities and keep cleaning desulfurization gas. 6. The third generation of heating method which combines the advantages from direct and indirect heating. It is safe for the operation. 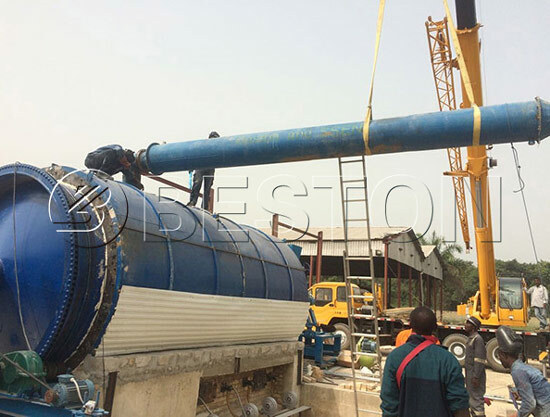 So far, Beston sludge oil recycling plants have been exported to more than 20 countires, such as Nigeria, South Korea, South Africa, Hungary and so on. Welcome to visit Beston factory, and we are looking forward to cooperating with you!